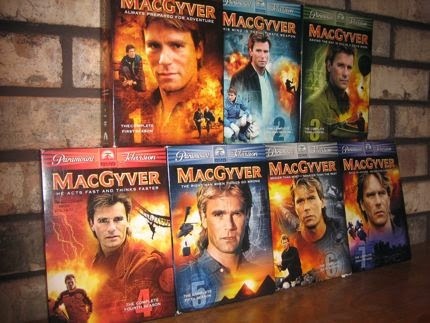 MacGyver is in the Amazon rainforest helping a scientist friend figure out what so many animals are running away from. As they go deeper into the jungle, they meet Trumbo, a stubborn plantation owner who wants to defend his land from an invading army of ants. MacGyver and Trumbo battle the ants with a flame thrower and an exploding dam and save Trumbo's plantation. This is a really tough call because I love the beginning and the ending, but I'm going to go with the end. You know how much I love talking about music, and at the 46:41 mark you get one of my favorite arrangements: the sweet, sentimental, piano arrangement of the main theme that only appears in a few episodes. In this episode, the sometimes-difficult Trumbo shows his human side by thanking MacGyver and asking him to come back sometime (see Memorable Quote). If this scene doesn't make you feel warm and fuzzy inside, then I'm not sure what else to say. Hmm, I don't know, maybe the multiple scenes where the ants crawl all over every square inch of the victims and eat them? Mixes nitrate from fertilizer and cellulose from plant bark. "Stir, don't shake, with a drip or two of acid." Makes nitromannite, which is "a little less touchy" than nitroglycerin. OK, it's opening gambit time! What's an opening gambit? There were 6 episodes early in the first season that have a 10 minute intro (i.e. before the song) that has nothing to do with the rest of the episode. They are always fantastic, and this one is certainly no exception. Let's break it down. MacGyver is in the Pyrenees, or as he calls them, "The Py-re-NEES." Some Basque separatists have kidnapped an American geologist, Dr. Gates, and MacGyver is there to rescue her. The first two minutes are brilliant. We hear MacGyver's thoughts as he enters the Basque camp, wraps a towel around his waist so he's half-naked (supposedly this helps him blend in), and takes a bite of stew from a pot cooking over an open flame. Then he breaks into Dr. Gates' cabin to rescue her. The music is fantastic throughout the opening gambit, and the last two minutes bring us to what I would consider The MacGyver Project's first truly great MacGyver moment. As the Basques run into the barbed wire that MacGyver sets out and their boat capsizes, Dr. Gates says, "Are they still after us?" MacGyver replies, "No, chances are those guys are all washed up!" Meanwhile some rocking music is playing and the whole thing ends with a great drum sequence that leads right into the song. Tour. De. Force. These real early episodes have kind of a sacred, legendary feel to them. Probably because they seem so old and so much of the song footage that we see for years is taken from them. But despite their age, they hold up better than many of the later ones. Love the Calgary Flames hat. Funny how this episode to me has a Jurassic Park feel to it (probably due to the rainforest) and the scientist is played by Peter Jurasik. Despite being a jerk at times, Trumbo has some good qualities. In fact, he wouldn't be a bad wingman for MacGyver - let's add him to the list. Would the dam bursting really sweep away all the ants? There were a ton of ants. The episode is well done (despite the stock footage), and there is great music from beginning to end. I have it ranked low because of the ants - I don't like them. I really don't like how they eat people. In fact, this episode would be lower if not for the awesome opening gambit and the great ending. 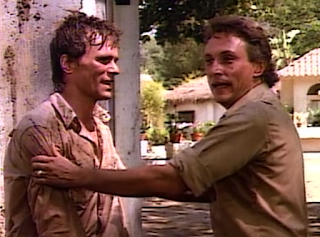 Those scenes alone make this episode must-see viewing for any MacGyver fan. Another polarizing episode that I loved. We agree on key aspects of what works and what doesn't. The stock footage worked in some scenes but failed miserably in others. And the music was spectacular throughout, either my favorite or second favorite compositions of the entire series. The opening gambit's music really dazzled but as you said the piano score at the end was great as well. Glad to know I'm not the only one who thought the opening gambits were one of this show's most effective gimmicks. I loved the ants premise and when I watched this for the first time in 1985 at age 8 it was unlike anything I had ever seen before. It was dark and suspenseful, and Trumbo was a great character. It was one of the episodes that confirmed for me unequivocally that "MacGyver" was without a doubt the best show on television back in November 1985. And I still love it 29 years later. I rank it #12. Looking back on the ones I've done so far, this is the one where I feel like I was off the most. I should have had it a lot higher if only for the awesome opening gambit and great ending. Despite what I said in my FAQs, I don't think I'm going to re-rank them when I'm done, though maybe I will if I feel like it. Some of them are hard to rank and differentiate (especially in my Top 25 where I love them all) so I just did it by gut instinct, or else I'd go back and forth for days. I like this one too.Didn't like the idea of MacGyver vs the ants before I actually saw it but this is one of those episodes that truly shows his never-give-up mentality. Some of the stock footage is rather clumsy but the opening gambit and the shots where he is overrun by all that water and then emerges, exhausted, are great stuff . I agree about the legendary feel of these early episodes - the lighting seems different and there's that Season One MacGyver 'swagger' that you've mentioned several times. Did No one ever see The Naked Jungle with Charleton Heston? Thus was copied almost exactly, even looked some and footage was used of the ants! Watch the movie, it's great. I haven't seen The Naked Jungle but you're right, they copied the story and used some of the footage from the movie. My second favourite opening gambit! Beautiful scenery and music, especially in the first fifteen seconds, then a shirtless MacGyver (apparently the only fit guy in the military camp!) and a very smoothly executed rescue plan! I liked how the geologist stared at then hugged him right after he introduced himself. My memories got mixed up again, I thought his way of losing the pursuing boats was to throw things in their way from his boat which was in The Prisoner of Conscience. Diversity of the series is showing again, here instead of villains there’s a conflict of interests between survival artists. The film quality looks aged to match the fifties film the ants footage is from. I like how MacGyver turns Trumbo around from shooting at him to the “we leave at daybreak” (a rare instance of someone getting ahead of MacGyver at giving instructions!). He said almost the same to Whitecloud (“You know you don’t strike me as a quitter!”), then I started to think that Trail of Tears was the episode with Trumbo’s return as well but that was another courtroom, from The Negotiator. I like that MacGyver notices the ants first but did Trumbo expect something worse? He didn’t seem to mind putting his workers in danger once he found out what the nature of it was, even right after witnessing Charlie’s death. And what a shockingly callous attitude from the the villagers, swatting a few ants instead of helping out one of their own. I was impressed by RDA’s level of control over the horse when arriving at Trumbo’s yard with Luiz, perhaps because the one time I was encouraged to try gallop I couldn’t stay on more than a few seconds! I found the ants’ organised efficiency fascinating (when I was a kid I used to feed them other insects and they could easily pull a wasp down! ), especially when they crossed the water. I remembered it different though, that they formed a ball and rolled across the water surface so those on top could breathe, perhaps I saw that in an Attenborough nature documentary. I liked that Trumbo’s single ant crushing was filmed in a way that not even that one ant had to be killed for the sake of the film. Then there’s that spectacular scene of MacGyver standing on the top of the wall with sheer determination on his face, throwing flames around like an angel from hell. And he gives a nice and specific explanation of what he’s doing in contrast of a later episode’s “mixing stuff”. I liked the plan after plan after plan but I wonder if covering at least the legs of the protective suit in glue would have kept the ants off better so that it could have been used to take over Luiz’s job at letting more water through before flooding everything. And after MacGyver gets out of the water, again we are treated with another one of the nicest music of the series. 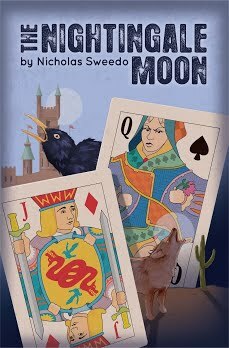 I don’t think there’s anything I dislike in this episode – interesting story and animals, characters with personality, loads of action, unforgettable music... I kept the whole episode, it’s definitely up in the top ten! Peter Jurasik at this time would probably have been best known for playing the short-lived character Crom in the movie Tron (he dies in a match with the hero Flynn). Branscombe Richmond, later of Renegade fame, is also in this episode as a "guard."